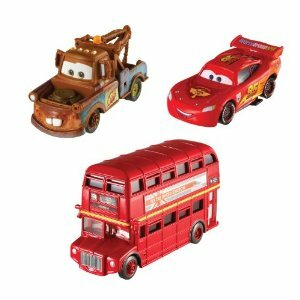 Get this Cars 2 Collector Double Decker Bus, Mater, and Lightning McQueen Vehicle 3-Pack for just $9.36 (from $19.99). Kids love Disney Pixar Cars and this has 2 of them most popular characters, Lightning McQueen and Mater included. This is a great one for a birthday or Christmas gift or even to give away as favors for a Cars themed party as it is rare to find Cars vehicles at this price. Leapster2 Special Edition SpongeBob Gift Pack just $31.87 Shipped!